Donald Higgins was born in 1943 to Donald Joel and Ethel Mary Higgins. He was a political science and public administration professor at Saint Mary’s University in Halifax, Nova Scotia from 1973 until his death in 1989. He specialized in local and regional government issues and was very interested in municipal government structures, education and city development and planning. Higgins was active in the Community Planning Association of Canada and involved with the Ward One Resident’s Association in his South End Halifax community. Donald Higgins was also the co-founder of the Gorsebrooke Research Institute and author of Urban Canada: Its Government and Politics (1977) and the follow up Local and Urban Politics in Canada (1986). 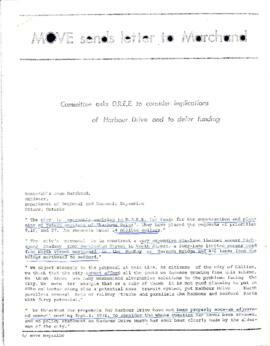 Material was donated in one accrual by Dr. Marguerite A. Cassin in 1997. This fonds consists of textual records created and collected by Donald Higgins while he was a professor at Saint Mary’s University in Halifax, Nova Scotia. Material consists of records relating to Higgins’ interest and research in the area of education reform, city development and planning and municipal government structures, with a focus on regional and local areas. Type of material consists of correspondence, meeting minutes, interview transcripts and notes, reports, printed material, academic papers, completed surveys of Canadian cities and research notes. Preferred citation: [Identification of item], Donald Higgins fonds, MS-2-706, Box [box number], Folder [folder number], Dalhousie University Archives, Halifax, Nova Scotia, Canada.